One of the most heartwarming aspects of dog ownership is their ability not only to give love and companionship, but also to work as Assistance Dogs. Cockapoos are ideal in this role – their love for people, eagerness to learn and willingness to please makes them ideal candidates. 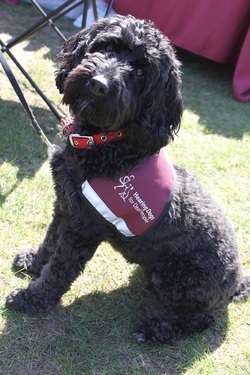 With the increasing popularity in this lovely crossbreed we can now see Cockapoo’s working as PAT (Pets As Therapy) dogs, Hearing Dogs and Disabled Assistance Dogs, with the dogs not only giving their owners the joy of owning a dog but invaluable help in day to day living too. In this section we cover cockapoos in service as PAT Dogs, Assistance dogs in Australia and Hearing Dogs For Deaf People.